How small is Earth compared to Jupiter or Saturn? 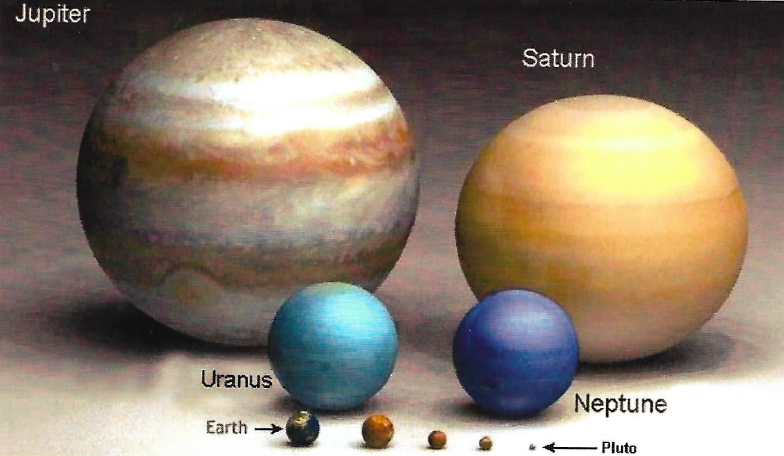 How much bigger are the gas giants to the terrestrial planets? Have students use Play-Doh to find out in this perfectly scaled and perfectly fun activity! Follow the Worlds in Comparison instruction sheet to have your students create the Solar System’s planets to scale. Note: This video is in German. Erde is Earth, Mond is Moon, Merkur is Mercury, and Sonne is the Sun. Great Video to end your discussion on Planet Sizes. Note: This video is in German so Erde is Earth, Mond is Moon, Merkur is Mercury, and Sonne is the Sun.